Local co-op just got a little more accessible. Working together is obviously important in its own right, but it becomes extra crucial when your task centers around something delicate, like an egg in a spoon, or a souffle, or the corpse of your dead father. 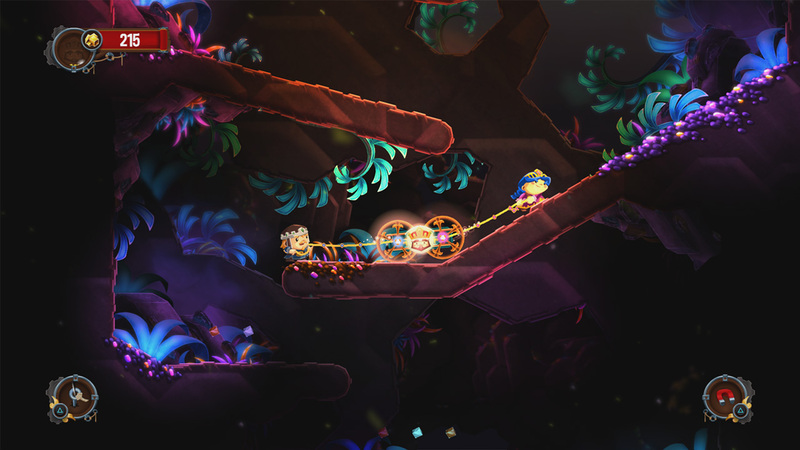 Chariot, the much-lauded game from Frima Originals, centers around just such a situation (the one with paternal demise, specifically) and, as of March 10th, will be available for friends, couples, and possibly strangers who happen to own an Apple TV. The game, which features two player local co-op, originally launched on Xbox One way back in 2014. It has since made its way through the platform circuit, with the PC, PlayStations 3 and 4, and Wii U each having a version of the game. Thankfully, though, now those without a "main" platform can also access a fantastic couch co-op experience. 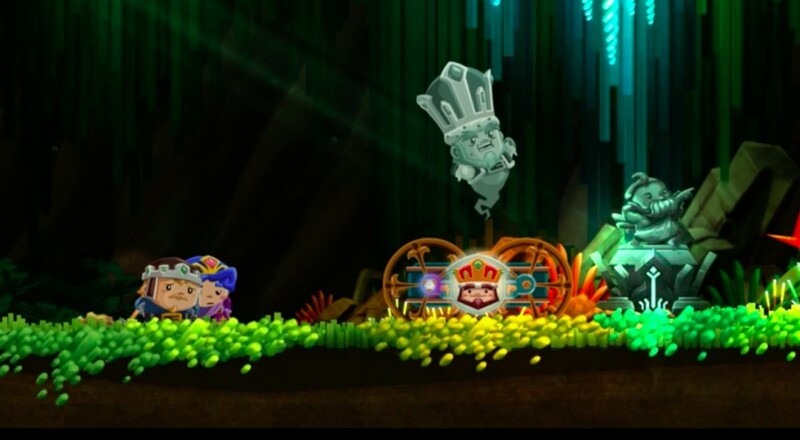 Apple TV users won't be getting a lackluster port, either, as their version is deemed the "Royal Edition" and includes both the base game and the "Royal Gadget Pack" expansion, the latter of which adds a third playable character and five brand new gadgets to help you on your morbid journey. To make the $9.99 purchase even more accessible, Chariot will support both the Siri Remote and Apple TV's classic controllers. Not only that, but this version of the game syncs up with Phillips Hue, which will adjust its lighting in real time to reflect the on-screen action. I can't say I'd spend a ton of time paying attention to that, what with my focus mostly being on the careening body of my deceased father, but still - pretty rad. Page created in 0.4818 seconds.